These 2 3/4 in cards are white with red lines imprinted on both sides for notations. 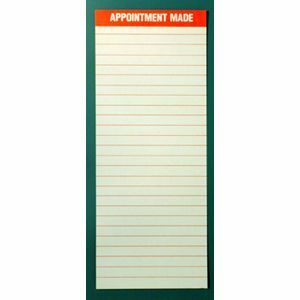 Keep notes on appointments scheduled until information can be transferred to file. Various sizes available to fit in all Ancom pouches.